Buy a minted 10oz silver bar at wholesale prices and quantities and have them delivered to you or privately vaulted. Whilst these silver bars are currently only available to be purchased using Australian Dollars, you can look to using the strength of the US Dollar to get the best out of a Forex investment. 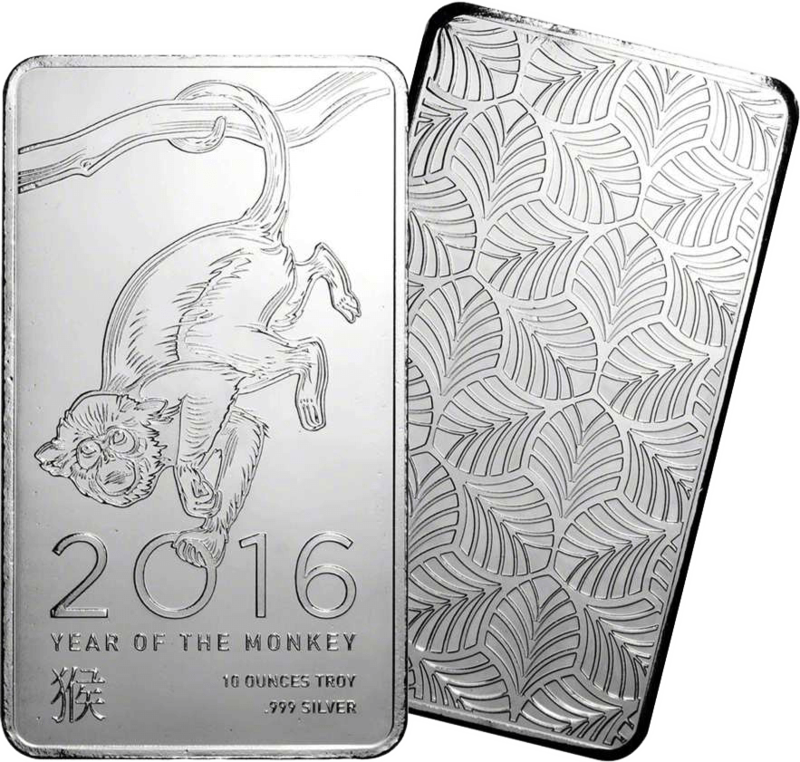 These minted silver bars weigh 10 troy ounces and are refined to a fineness of 999 by a large range of LBMA approved refineries. This is an ideal bar for small investment quantities and it's size means you can safely store it anywhere at home. They also rate as one of the top 4 most liquid silver bars worldwide. In the weight category, we are also able to offer the 10 ounce bar size in gold. The 10 troy ounce gold bar is eligible for use as collateral to raise funds, whereas the only silver bar that is eligible is the 100 ounce silver bar. 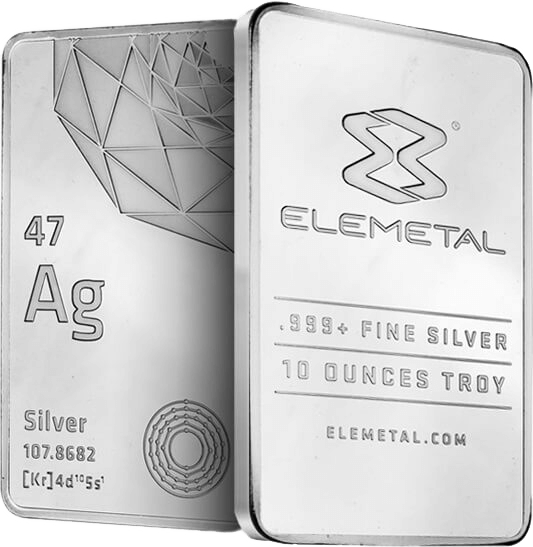 These bars are currently the smallest weight class of whole silver bullion bars available to trade on the Allocated Bullion Exchange’s precious metals markets. Many refiners change their designs each year as you can see below using Elemetal Direct as an example. However, please note that the design changes does not mean that the quality or value of the silver bars is affected in any way. Please Note: We cannot guarantee which design of bar you will receive as these are all on our wholesale markets. We also can't meet any requests for specific designs either. To start buying the cheapest 10 ounce silver bars internationally all you need to do is to open an account with us and you will be able to instantly see which market offers the cheapest bars and also the cheapest silver bullion product type across our worldwide marketplaces (including USD). For a full list of other physical bullion items go to our main products page where you will find various bars and coins in gold, silver and platinum. When you view this 10oz silver bar in MetalDesk the order depth shows it has the second highest liquidity level for silver bullion on the ABX, second only to the pooled 1000 ounce silver bars. 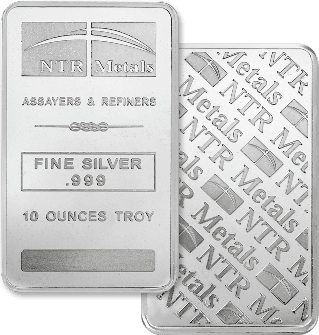 Description 10 fine ounce silver minted bar with a minimum fineness of 999. Bearing a serial number and identifying stamp of a refiner as per Appendix A Good Delivery Refiners. Unfamiliar with Physical Contract Specifications? Some or all of the above specifications may be new or unfamiliar to those that have just started considering purchasing silver bullion. I have created a dedicated page that explains each contract line and why it even exists in the first place, so to gain a better understanding of what the above means for the 10oz silver bar, go to our precious metals silver, gold & platinum contracts page. We have a catalogue detailing all of our physical bullion products and their associated contract information as displayed above. It is in a pdf format which you can view in your browser or download for future reference. To access it simply open our precious metals list. If you have any queries about our silver bars or their related contracts, then please do contact us. To start buying 10 ounce silver bars and have them privately vaulted or delivered to you, then create a Central Holding with GoldVu so you can start moving your wealth outside of the banking system.